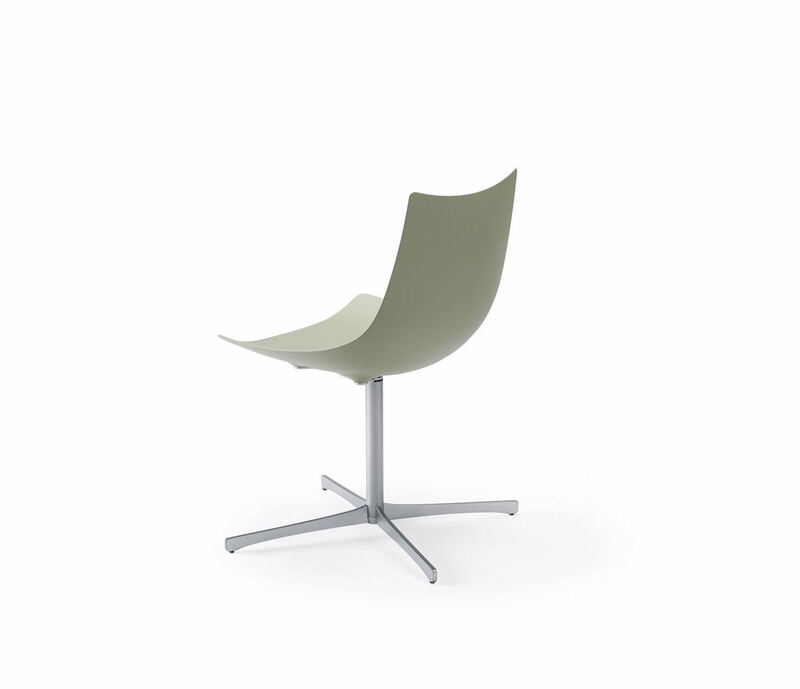 Swivel side chair with shell in rigid polyurethane (BAYDUR 110). Shell available in white, black, blue, red, and grey-green. 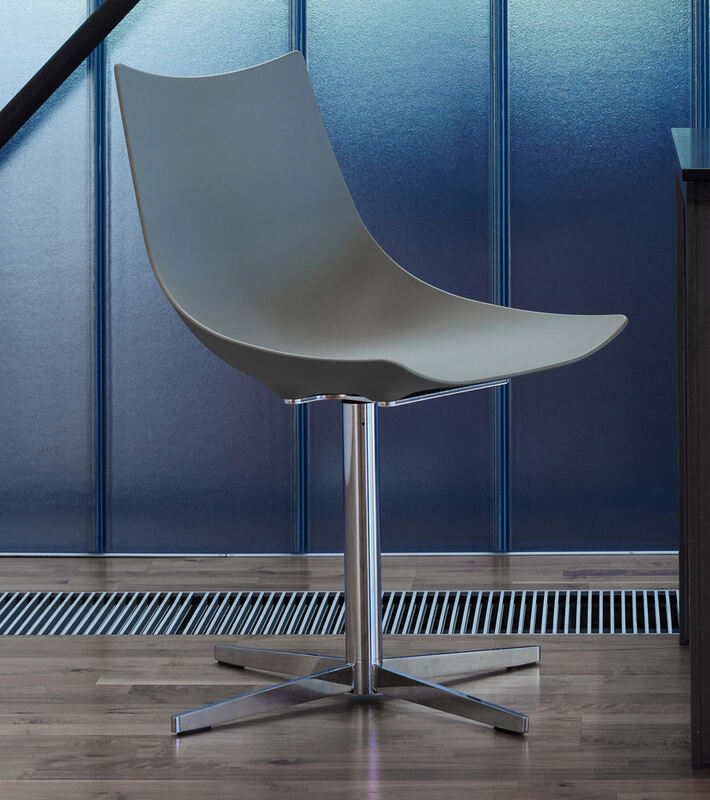 Optional seat cushion or shell fully upholstered with fabric or hide leather. 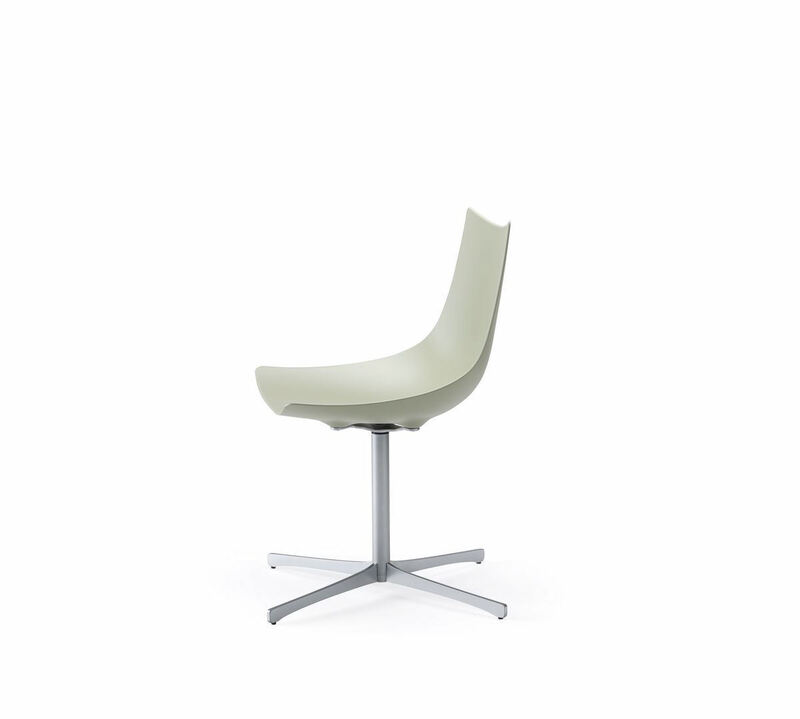 Swivel 4-star base with polished chrome finish. Seat cushion only COM/COL fabric requirement - 0.7 yds./13 sq ft.